I drink tons of iced coffee: in 100+ degree Texas, it doesn't make sense to add any more steam into your life. But I do so regretfully, knowing that, while I'm scoring a buzz and a refreshing drink, I'm also missing out on much of what I enjoy about my favorite beverage. See, I'm a serious coffee drinker. I've written over two dozen coffee articles for Thrillist; it's a huge part of my life. But it took a seven-day coffee fast to help me realize what I love about coffee more than anything: its flavor. I get excited seeing a wealth of new cold brews on supermarket shelves, but the fact remains that most chilled coffee just doesn't taste as good as its hot cousin. The coffee geeks I spoke to agreed, so I investigated further by questioning an anonymous group of nationally lauded roasters, international bean sourcers, and a lifelong coffee research scientist. I discovered that no matter how you brew it, in the hot-for-cold tradeoff, odds are you're getting royally screwed. 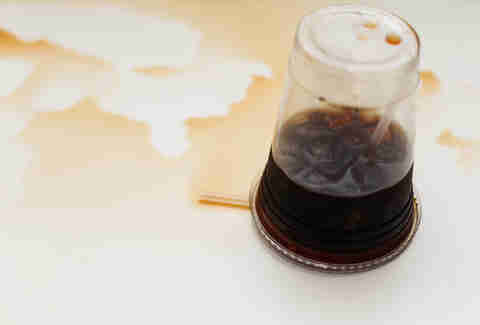 If you put most iced coffees to the bogus coffee test, they won't come out looking like winners. The origins of the beans are often non-specific, roasting details are vague or non-existent, there's rarely a "best by" or roasted date of any kind, and you can expect additional flavors that mask the purity of the coffee. This isn't good for the consumer, but it's also bad for the industry. One of the landmark achievements of the specialty coffee industry is shifting consumers' attention toward where their coffee comes from, thus ensuring that the farmers are fairly compensated. That's part of what you're paying extra for. Since the typical cup of iced coffee doesn't celebrate the excellence of specific farms, it's easier for your favorite roaster or local coffee shop to lower their standards. It also makes shadier business practices on the supply side much easier to swallow. One roaster joked that cold brew is likely a large roaster's garbage disposal. It was an exaggeration, but there's plenty of truth to it. An analogy our coffee scientist used was that you wouldn't use an incredible vintage to make wine coolers. Same goes for iced coffee. You're unlikely to see a special bean turn into a concentrated toddy because the process doesn't show the coffee at its full potential. 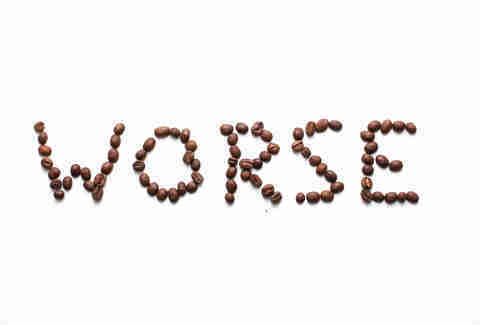 It gets worse for any mixed coffee drink (like the ones you see topped with whipped cream). Big roasters are likely over-extracting their beans in order to save as much on food costs as possible, since it's going to be loaded with sugar and milk anyway. That said, there are roasters out there who take enormous pride in their iced coffee, going as far as kegging nitrogenated single origins. But that's the exception, not the rule. Bottom line: most iced coffee doesn't have the nuance of hot coffee. One of the most popular types of iced coffee is called toddy, which is brewed by soaking beans overnight. It takes so long because the grounds don't actually dissolve, which leads some coffee sticklers to point out that the drink doesn't fit the official definition of coffee (beans dissolved into water). Without proper dissolving, many of the more complex flavor compounds aren't released. So in addition to the beans possibly being lower quality, they're not even reaching their full potential in the brewing process. Some cold coffees are brewed hot first in order to release these flavors, but even those methods can't make up for the fact that much of the soluble complexity of flavor is steam-carried and exists in the smell. 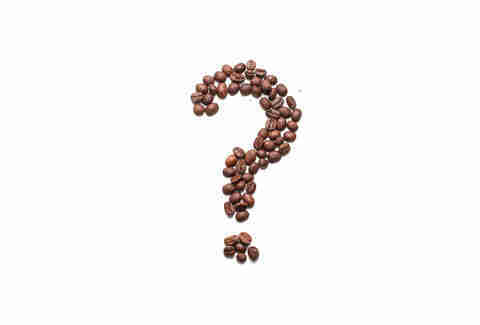 When coffee is chilled, it doesn't smell like anything, so it often doesn't taste like anything. Ever had iced coffee that's tasted weirdly sour? Of course you have, because coffee flavor isn't stable, meaning the slower brewing method and long shelf-life of both toddy and bottled concentrate are going to effect the taste. Luckily, extra milk and sugar can go a long way in masking that flavor. 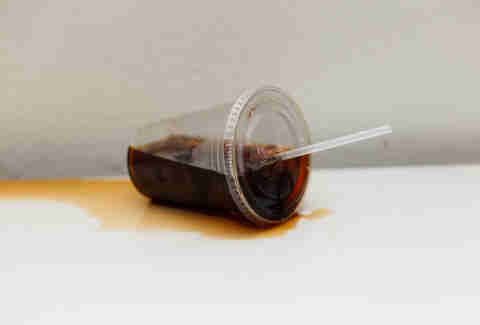 All that ice in your drink means that those 12 ounces of coffee are actually much less, and that your drink will become more watery and gross with every sip. From baristas to roasters to coffee scientists, all the professionals we talked to about this replied that they don't usually drink iced coffee. They did, however, stress that in terms of flavor preference, the customer is always right, and anyone who says differently is a snob and should roast in hell. That said, if the most refined palates in the industry aren't that excited about something, there's probably a reason. There's definitely a time and place for cold coffee (Texas, nine months out of the year, is a good example), but the ability to combat sweltering heat isn't the primary factor most pros use when choosing their brew. Sure, if it's 100 degrees outside, much of iced coffee's value comes from it being a beverage that will make your forehead less capable of frying an egg. 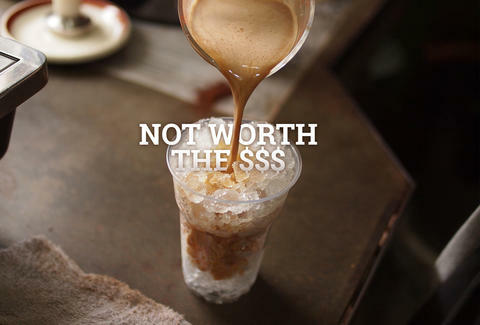 But essentially you're paying coffee shop prices for a drink that lacks complex flavor and can even taste worse. Iced coffee is like the ballpark hot dog of the coffee world. I'll happily eat it at a baseball game, but I can't help knowing that I'm paying too much. Dan Gentile is a staff writer on Thrillist's National Food and Drink team. He hates saying mean things about coffee of any kind, hot or cold or lukewarm. Follow him to a half-finished pint of concentrate at @Dannosphere.